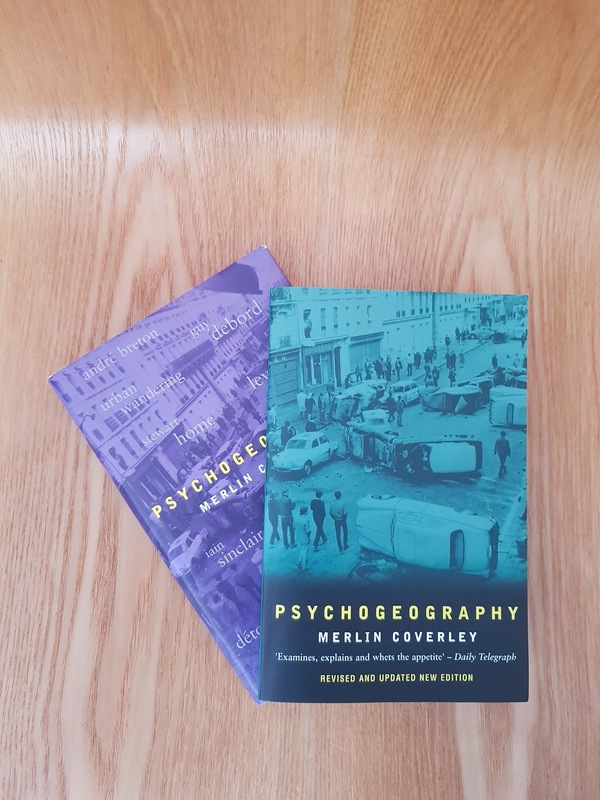 I have been reading Merlin Coverley’s revised edition of Psychogeography, first published in 2006. This new edition, with a lovely green cover (2018), has an updated information, a new preface and appendix, and a much updated ‘Psychogeography Today’ section, which also includes Nick Papadimitriou’s Deep Topography. When I first got into psychogeography in 2009, this was ‘the bible’ of psychogeography and I think it still is. It was my first psychogeography book, followed swiftly by Will Self’s Psychogeography (2007). I always recommend Coverley’s books to my students as an intro to the subject (now alongside Walking Inside Out, of course, however that wasn’t available till 2015).